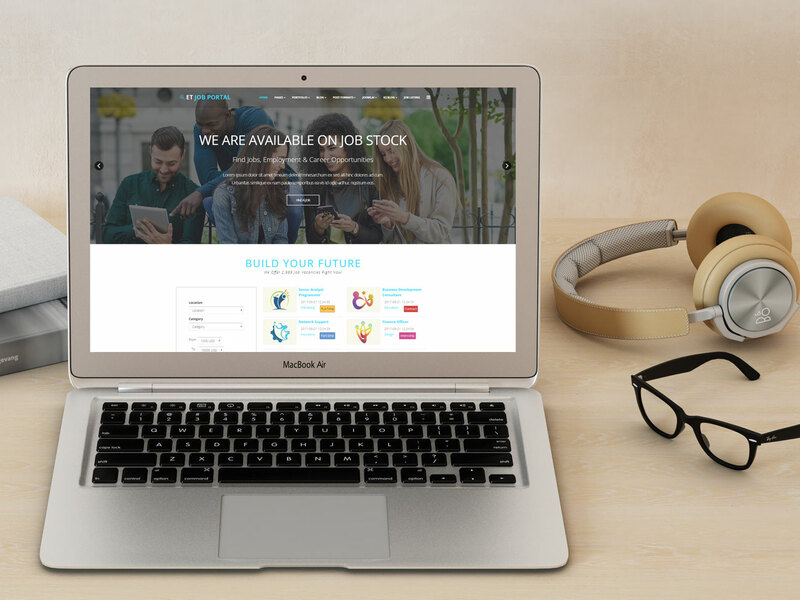 ET Job Portal is Responsive Joomla! template that targets for job search websites. Job Portal Website Templates based on Bootstrap CSS grid layout, Page Builder for layout, Shortcode for present content easily, Support Font Awesome and K2 extended style. 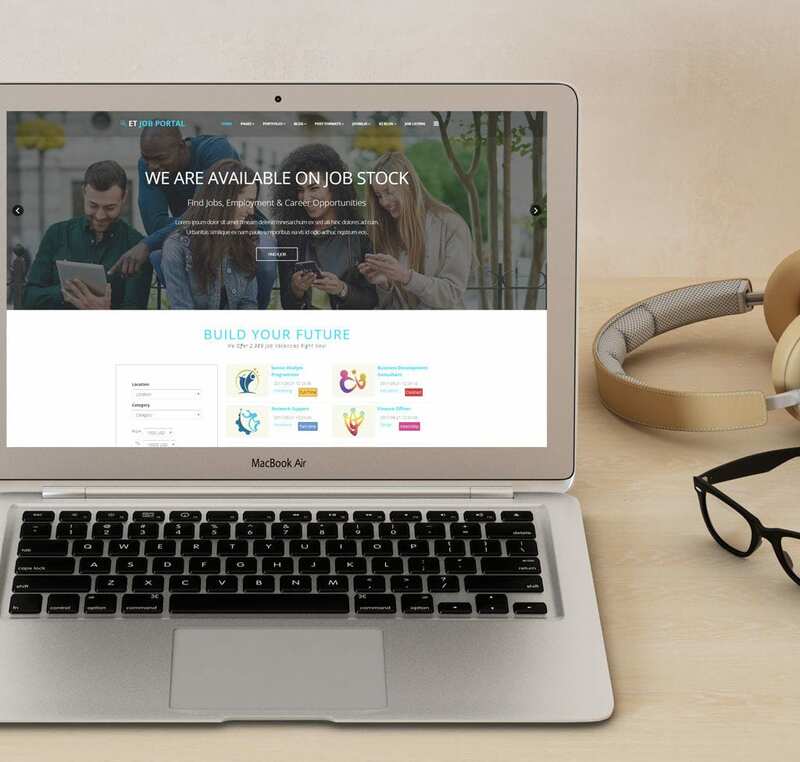 Besides, it’s responsive design, so job portal can easily guide visitors to what they’re looking for, may it be entry-level jobs, professional jobs, or executive paths. Best of all, these designs are compatible with all browsers, making Job Portal Website Templates accessible to all. The well chose font styles and colors, and overall color schemes make it easy for them to spot and focus on these features. Let the job seeker find satisfaction in your Job Portal both in opportunity and template design. ET Job Portal Website Templates is simple, clean looking template designed mainly for new business websites. It’s easy to custom and edit content via convenient template parameters. ET Job Portal Website Templates with fully responsive layout based on Bootstrap CSS. It has special built-in design optimized for modern mobile devices iPhone, Android and Windows Mobile-based. 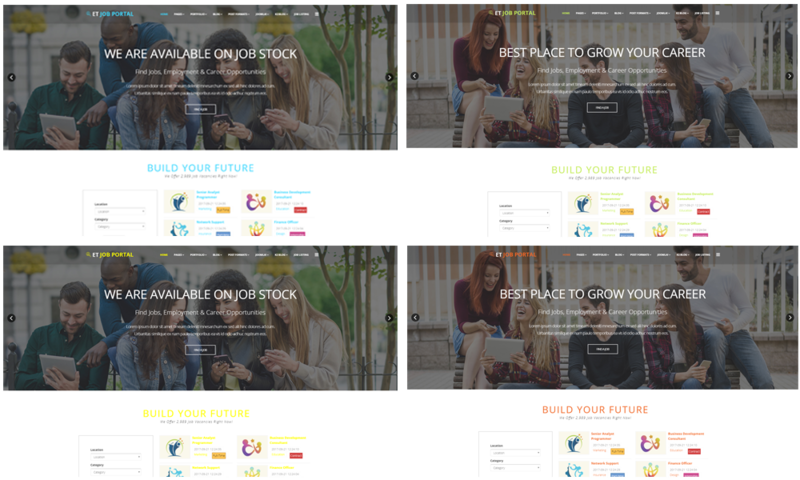 ET Job Portal Website Templates supports 4 color styles helping to create gorgeous websites with various layouts. Besides, the template comes with flexible homepage which includes boxed and full width layout. You can see demo via Template Site Tool on demo site. It’s also easy to extend color styles.